Shasta County’s Economic Development Corporation is out in full force to ensure that our region isn’t left behind in this technologically-advancing world. Highlighting established and newly developing businesses in Redding and its surrounding areas, the EDC held a Gamer Changers innovation event this past Friday to show just how the Northstate is playing a major part in attracting entrepreneurs and those with groundbreaking ideas that will bring economic growth and stability. 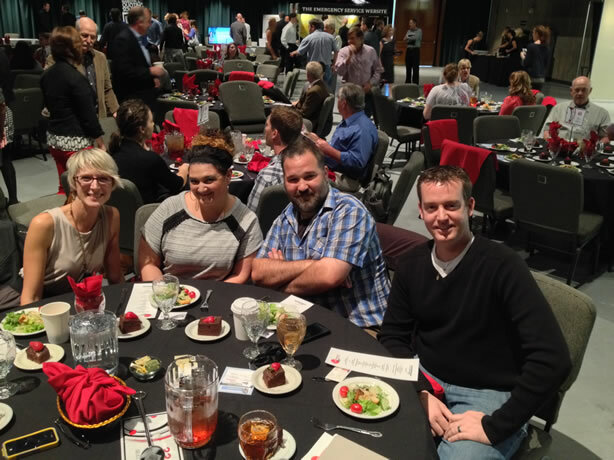 Optimize Worldwide was present at the luncheon to learn more about these 17 innovative Shasta County businesses that are offering products and services that fit into the technology field that the EDC is focusing on to create more high paying jobs in the community. Letting us in on how he stepped up to the technology challenge in his own area was keynote speaker Peter Barth of The Iron Yard in South Carolina. Using his experiences to motivate other small regions such as Shasta County, Barth explained how his business accelerators and adult academy for coding and programming provides powerful companies and the knowledgeable employees to run them. The Shasta County EDC encourages all developers, entrepreneurs, investors and business leaders to enhance the local community by pouring their resources into our burgeoning economy.